695 Lorenzo three piece sectional sofa in french provincial traditional style. 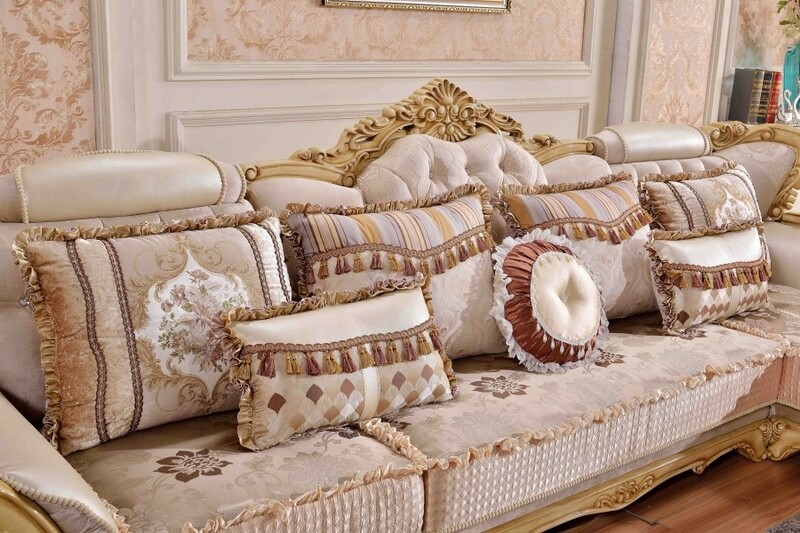 Light color fabric with tufted design back and all the pillows shown on the picture. Accented by hand crafted gold finish wood trim and crowned top. To complete your living room set this collection also has gold finish marble top coffee and end table.